Reducing energy consumption in the residential sector is an imperative EU goal until 2020. An important boundary condition in buildings is that energy savings should not be achieved at the expense of thermal comfort. However, there is little known about comfort perception in residential buildings and its relation to the PMV theory. In this research, an in-situ method for real time measurements of the quantitative and subjective parameters that affect thermal comfort as well as the reported thermal comfort perception was developed and applied in 30 residential dwellings in the Netherlands. Quantitative data (air temperature, relative humidity, presence) have been wirelessly gathered with 5 minutes interval for 6 months. The thermal sensation was gathered wirelessly as well, using a battery powered comfort dial. Other subjective data (metabolic activity, clothing, actions related to thermal comfort) were collected twice a day using a diary. The data analysis showed that while the neutral temperatures are well predicted by the PMV method, the cold and warm sensations are not. It seems that people reported (on a statistically significant way) comfortable sensation while the PMV method does not predict it, indicating a certain level of psychological adaptation to expectations. Additionally it was found that, although clothing and metabolic activities were similar among tenants of houses with different thermal quality, the neutral temperature was different: in houses with a good energy rating, the neutral temperature was higher than in houses with a poor rating. ANASTASIOS, Ioannou; ITARD, Laure. 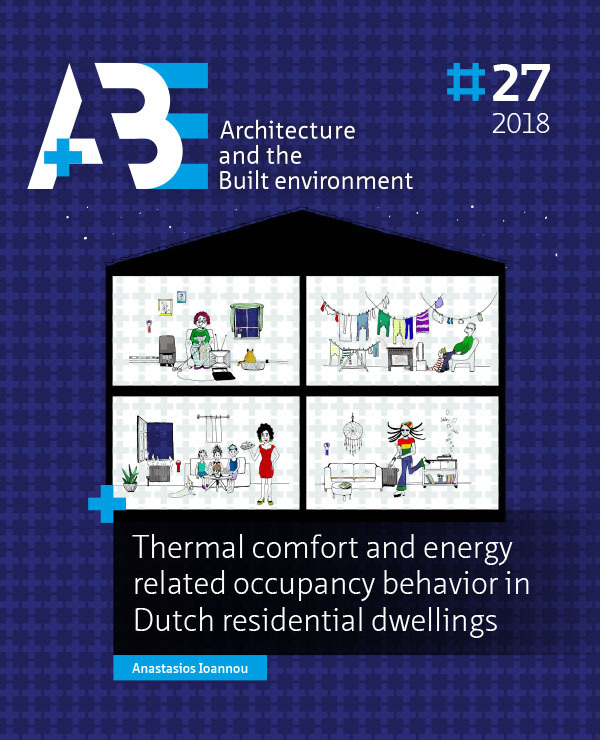 In-situ and real time measurements of thermal comfort and its determinants in thirty residential dwellings in the Netherlands. A+BE | Architecture and the Built Environment, [S.l. ], n. 27, p. 95-138, dec. 2018. ISSN 2214-7233. Available at: <https://journals.open.tudelft.nl/index.php/abe/article/view/3512>. Date accessed: 26 apr. 2019. doi: https://doi.org/10.7480/abe.2018.27.3512.